Albert Einstein once said, “the definition of insanity is doing the same thing over and over again and expecting different results.” Well, honestly he probably never said that… or at least didn’t say it first, but the internet says over and over that he said it, so it must be true. Anyway, if this is something that everyone believes this is a thing, then why do we keep rebooting more and more TV and movie franchises? In fact, it seems like we’re doing this more often than ever before. But are we? And why are they so successful anyway? 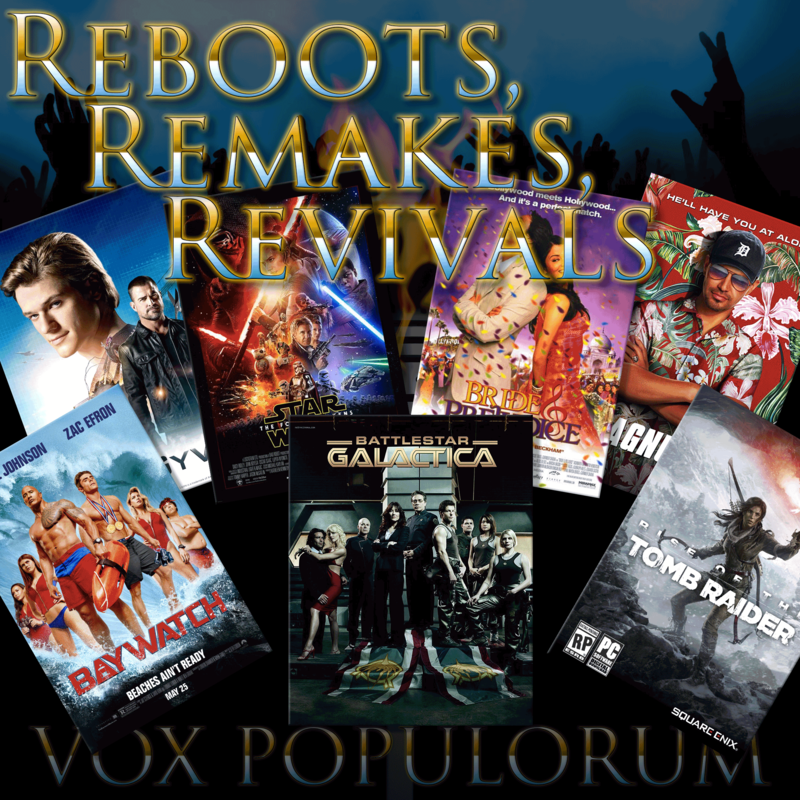 Mav and Hannah are joined by Natalie Sheppard, Mike Strauss and Maximilian to discuss the differences between reboots, remakes and revivals and why we love(and hate) them so much. Follow Maximilian’s thoughtForm Music on Instagram(@thoughtformmax) and buy his new album, Inivisible Zombie Movie, on Bandcamp. Read Mike Strauss’s story “The Adventure of the Double Sized Final Issue” in the anthology Baker Street Irregulars: The Game is Afoot. Make sure you subscribe on iTunes or Stitcher or wherever podcasts are found and please leave us a review.